Each pad consists of 2 outer layers of flannel and 4 pieces of lining made from cotton quilt batting. Pattern measures approximately 7 1/2” from side to side and 8 1/2” from top to bottom. Measurements may vary depending on the printer. This is ok since we are going for utility and not perfection. You might want to check this FREE Undies Pattern from So Sew Easy. Days for Girls has directions using a layer of PUL as the water resistant layer. 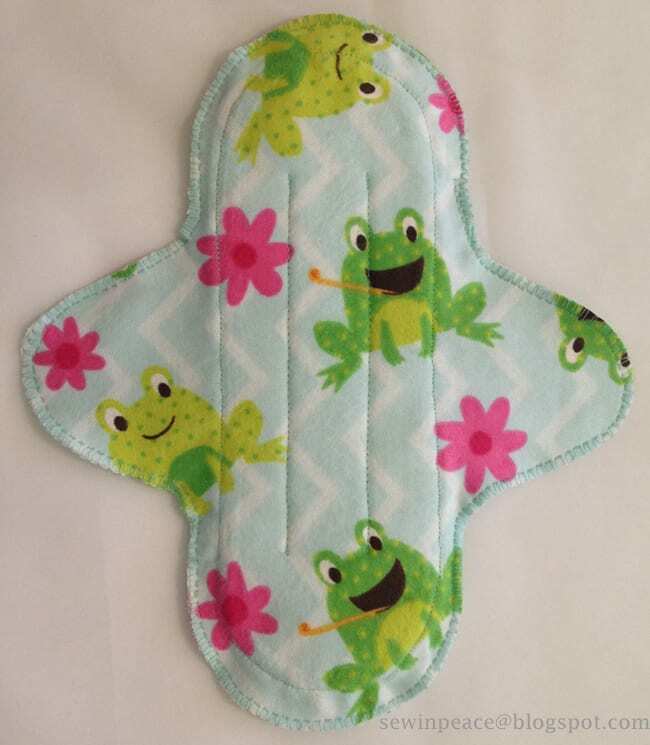 Many groups have made feminine hygiene pkts for third world countries where disposable sanitary napkins are not available. google the organization and check it out. Hahaha I just made a bunch of these recently. I used terry cotton toweling for the core though, wayyyy more absorbent and durable than cotton batting. Also included a PUL water proof layer. Cotton batting should not be used as a core. It’s not designed to hold liquids. For the core, an additional 2-8 layers of cotton flannel works great. For the bottom, use fleece as a water resistant layer.